SNAFU! : Blast from the past. F-35's AESA Array is the "secret sauce" of its electronic attack...an attack that any AESA equipped fighter can conduct. Blast from the past. F-35's AESA Array is the "secret sauce" of its electronic attack...an attack that any AESA equipped fighter can conduct. Advanced electronic warfare capabilities enable the F-35 to locate and track enemy forces, jam radio frequencies and disrupt attacks with unparalleled precision. All three variants of the F-35 carry active, electronically scanned array (AESA) radars with sophisticated electronic attack capabilities, including false targets, network attack, advanced jamming and algorithm-packed data streams. This system allows the F-35 to reach well-defended targets and suppress enemy radars that threaten the F-35. 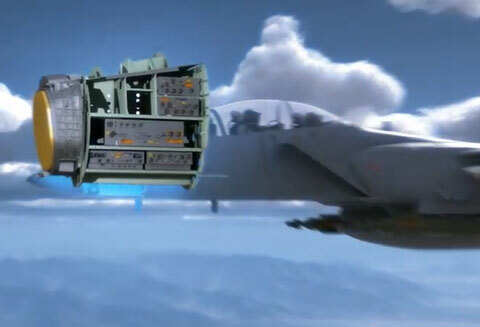 In addition, the ASQ-239 system provides fully integrated radar warning, targeting support, and self-protection, to detect and defeat surface and airborne threats. While F-35 is capable of stand-off jamming for other aircraft — providing 10 times the effective radiated power of any legacy fighter — F-35s can also operate in closer proximity to the threat (‘stand-in’) to provide jamming power many multiples that of any legacy fighter. "What we've done with the 5th Generation [aircraft] is the computer takes all those sensory inputs, fuses it into information. The pilot sees a beautiful God's eye view of what's going on. [...] It's a stunning amount of information." Northrop Grumman Corporation (NYSE:NOC) has announced that it successfully demonstrated key electronic protection capabilities of the F-35 Lightning II's AN/APG-81 radar during the recent Northern Edge 2009 (NE09) joint military exercise. Because I've been waiting for an aviation guy to say out loud what I've pieced together. 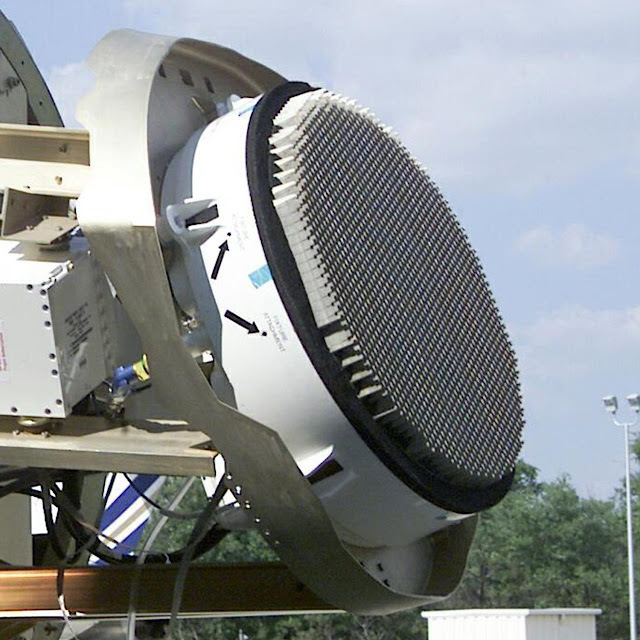 The secret sauce to the F-35's vaunted "sensor fusion" and "electronic attack" is it's AESA Array. Back in 2000 it was unique and a game changer. But they've taken almost 20 years to get the plane into service and what was once rare is now common. The F-35 fanatics are ramping up their attacks on the F-15X claiming that its a 4th gen fighter in a 5th gen world. The F-35 is like building a luxury car in 2000 but failing to get it into the showroom, freezing the design and then introducing it in 2020. It was great when designed but life moves on. Now? Now you have Ford Pickups that are more luxurious, cheaper and can do a wider array of jobs. Which would you buy? The 2000 luxury car or the brand new Ford that's been evolving and is now just as good? The F-15X will be one helluva sensor node. Why? Because it has a huge honkin AESA Array! The F-35 stood still and now it's getting ran over! That happens to everyone and everything that isn't constantly striving to improve.